For over 7000,000 Rohingyas, their life was in a state of bewilderment and question in August 2017. Struck by devastation and bloodshed, these people were forced to flee their native lands and homes and sought refuge in neighboring Bangladesh. A plight like never before, inflicting immense grief and the overwhelming pain was visible on the faces of these refugees. They began their journey to Bangladesh – by sea or foot – and were all set to reach their destination, via the Indian Subcontinent. A blooming issue under the UNHCR, the Rohingyas Refugee problem soon began to receive worldwide attention. 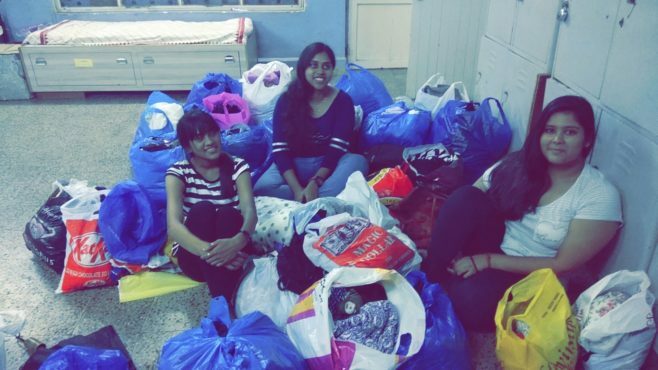 We, at Muskurahat Foundation along with 23 other youth clubs, began a one of its kind ‘Cloth Donation’ campaign, to aid these refugees with adequate clothing facilities. By the end of ‘Project Vastradaan’, we had successfully collected over 15,000 clothes, that with the aid of Red Crescent Society were directly supplied to the camps of these refugees. Project Vastradaan was not only successful in numerical terms but was also instrumental in delivering smiles across Indian borders, to these Rohingya refugees.